How F.A.R. will your change leadership take you? Are you...Flexible? Adaptable? Resilient? How *F.A.R. Will Your Change Leadership Take You? By Bruce Waltuck, President, Freethinc...For a Change, LLC and Director, I-Open. Ten years ago, as the Administrator of Training and Development at the Delaware River Port Authority, I gave the opening keynote at the annual conference of the Eastern States Transportation Network. The Network is comprised of people responsible for the operation, maintenance, and security, of highways, bridges, trains, and tunnels from Maine to Florida. The impact of 9/11 (See: September 11 attacks) was still fresh in everyone’s mind, and there were many police and security folks in the audience. At the conference, I spoke about the lessons learned from the experience of the first responders, and the people inside the buildings that day. *How F.A.R. will your change leadership take you? Are you...Flexible? Adaptable? Resilient? The Delaware River Port Authority (DRPA) is a bi-state agency instrumentality created by a Congressionally approved interstate compact between the governments of Pennsylvania and New Jersey. The Authority principally is charged to maintain and develop the Philadelphia-Camden port district, which links the two states with four bridges, a ferry, and a mass transit rail line across the Delaware River. 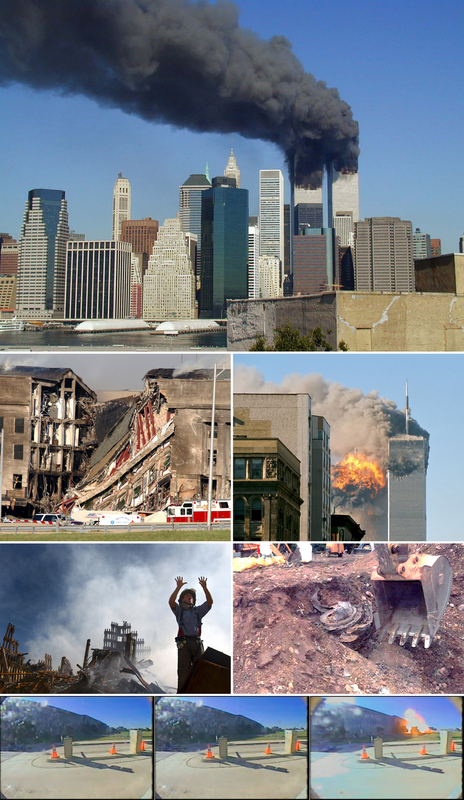 "September 11 Photo Montage" by UpstateNYer - Own work; derivative work of the following: File:WTC smoking on 9-11.jpeg by Michael Foran on Flickr File:DN-SD-03-11451.JPEG by the United State Navy File:UA Flight 175 hits WTC south tower 9-11 edit.jpeg by TheMachineStops on Flickr File:WTC-Fireman requests 10 more colleagesa.jpg by the US Government File:Flight93Engine.jpg by the US Government File:Video2 flight77 pentagon.png by the United States Department of Defense. Licensed under CC BY-SA 3.0 via Wikimedia Commons. How the knowledge and understanding each person had up to that moment was not necessarily sufficient for responding to the unexpected action that occurred. I noted how information, when it became available, was often incomplete, inaccurate, or misleading, because of the limited perspectives of people in the moment. In complex situations, life or death literally depends on how people make sense of their rapidly evolving experience in the moment. We must be willing and able to change our intention and action rapidly in the face of significantly changed circumstances around us. We must know multiple ways and paths to (hopefully) lead us towards our goals. We must have the capacity to learn, understand, and adapt rapidly. Finally, we must be able to calmly and efficiently negotiate meaning and purpose with others. The greater our capacities in these areas, the better our chances of surviving. Collective sense-making and exploration of promising options is the best we can do as we act into the complexities of the unknown future. Story, Innovation and Meaningful Change from I-Open on Vimeo. Watch Story, Innovation and Meaningful Change contributed to the I-Open library by Bruce Waltuck. In this video, Bruce shares how he became interested in supporting groups of people making better decisions together. His story articulates concepts and lessons leaders can apply to improve their own work in education, economic and workforce development. President & Owner, Freethinc. . . For A Change, LLC-Services on Organizational Change, Employee and Labor Relations, Collaborative Dialogue, and Story-gathering for Insights and Action. Bruce currently serves as a Director, The Institute for Open Economic Networks (I-Open).